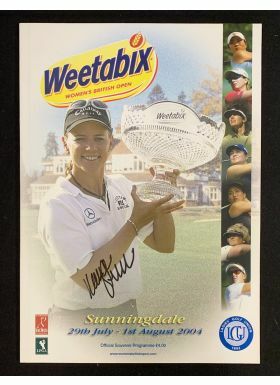 2004 Ladies British Open Programme from Sunningdale signed to all the internal photos and by the winner Karren Stupples to the front cover. 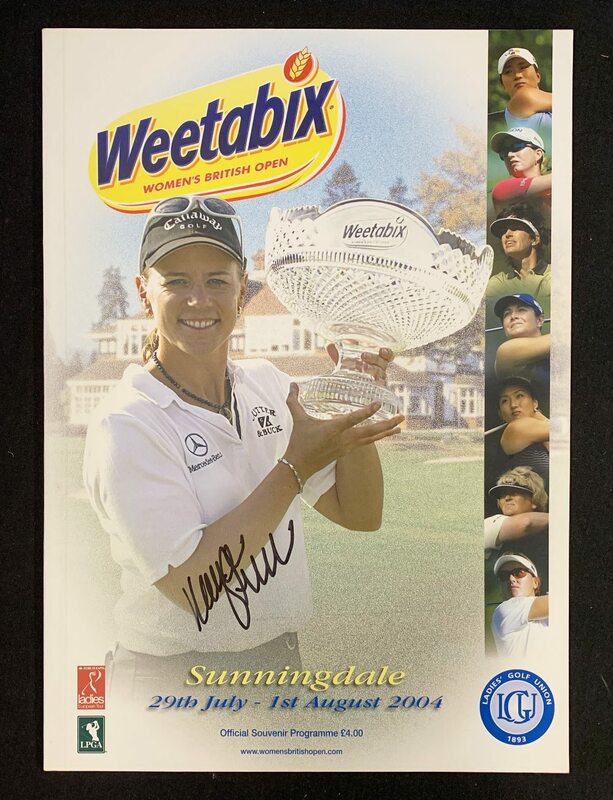 The players include Annika Sorenstam, Karrie Webb, Sherri Steinhauer, Laura Davies, Juli Inkster, Rosie Jones, Christie Kerr, Meg Mallon, Lorena Ochoa, Kelly Robbins, etc. In all 31 autographs. The programme is in very good condition with no marks or creasing.